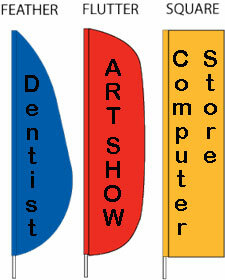 We offer expert custom graphic design for an additional $25 if you do not have an image to use. 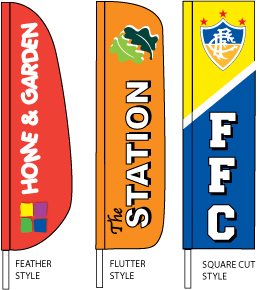 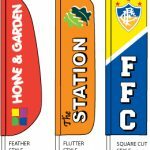 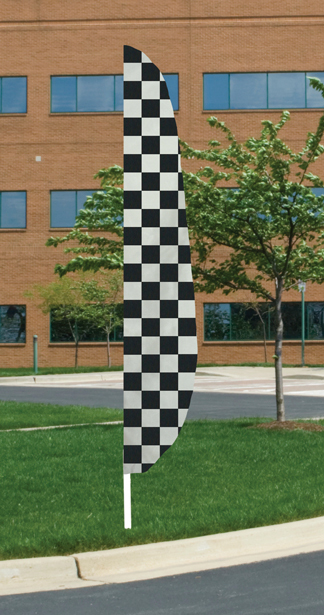 The Feather Flags that we produce in our state of the art factory in Huntsville are top of the line. 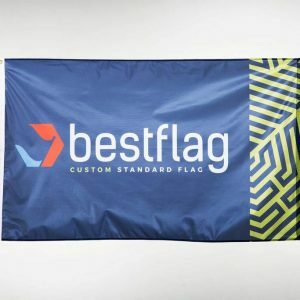 With proper handling and care, you can expect years of flag flying. 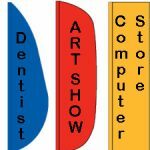 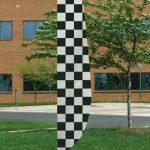 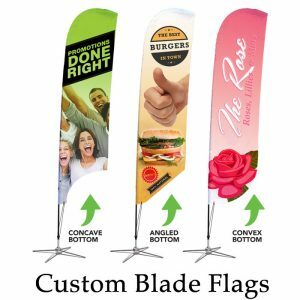 Coming in three different ‘cuts’ or styles you can make a custom attraction for your next outdoor event, indoor trade show, or just to get general attention roadside. 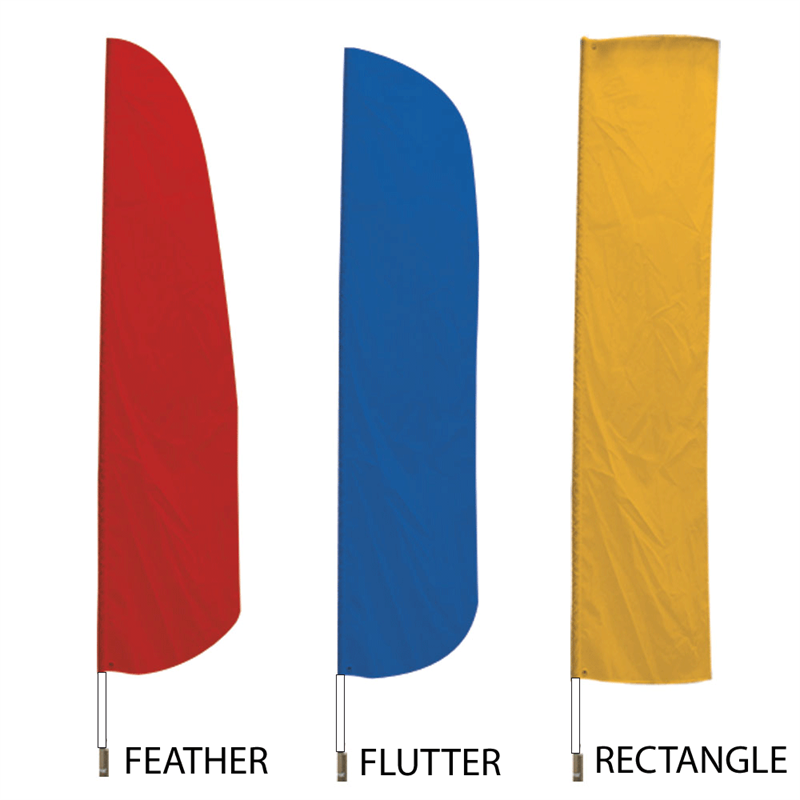 The traditional Feather style is perfect in a low wind condition becaue the top part of the flag won’t droop down over the rest of the flag. 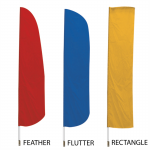 The Flutter style looks great in a small breeze to a strong wind. This flag gets its name because of the fluttering sound it makes in the wind. 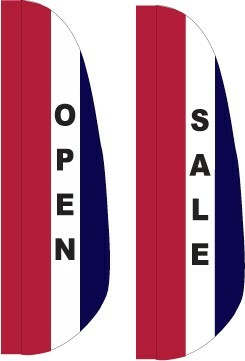 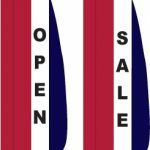 Finally the classed Square Cut style is always a go-to type of look for displaying wording such as OPEN, USED CARS, etc… You can have these flags in 3 different striped colors, solid color, or your own design. 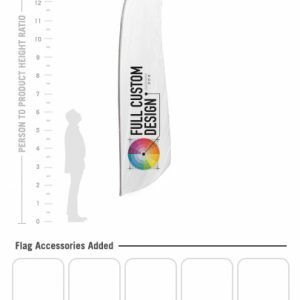 Create anything you can think of or let us do the flag design for you. 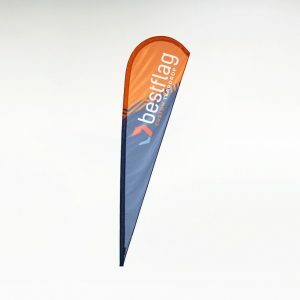 Just get in contact with a flag specialist today for further help. 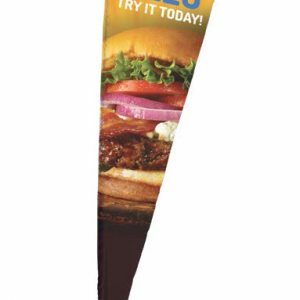 200 Denier UV-Coated, US-Made Nylon – Digitally Printed, Print Anything! 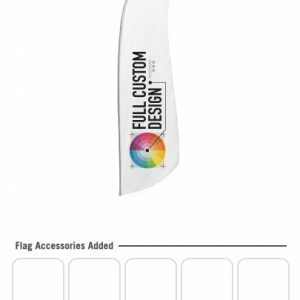 All Flags are Single Image/Reverse (mirror image on backside). 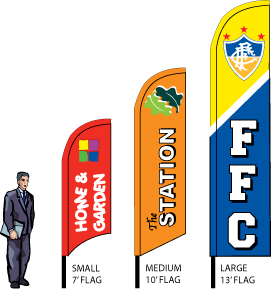 Double Sided Flags are Double the Cost.